It is a very nice and clean little place with super fresh food, an excellent menu, and great prices. 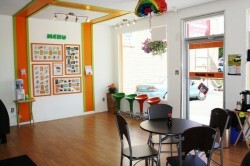 Sushi Deco has a great location right across from Thrifty Foods and behind Pharmasave in Parksville Downtown. Dine-in or take-out for lunch and dinner, Monday through Friday.